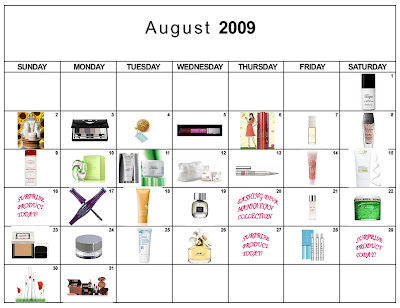 Today's giveaway is a truly fabulous one, fellow beauty chicks. 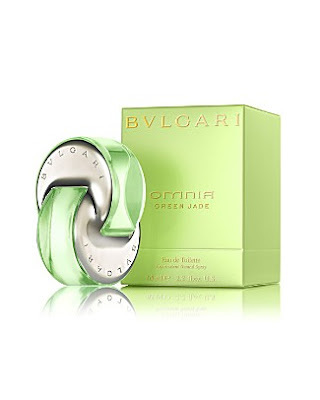 I'm giving away a full-sized bottle of the deliciously sensual and sophisticated Bulgari Omnia Green Jade Eau de Toilette, valued at $77! Inspired by the aura of the jade jemstone, Omnia Green Jade is a crisp, floral green scent resplendent with fresh spring blossoms. It's rich with notes of spring water, green mandarin, white peony, nasturtium, pear tree flower, jasmine petals, fresh pistachio, white woods and musk. And isn't the bottle beautiful? Entering is easy. Simply enter your name and email address in the box below. The winner will be selected on Tuesday, August 11 and notified by email. It's that simple! This giveaway is open to US residents only. Giveaway runs until Monday, August 10 at midnight. One entry per person, email address and IP address. Multiple entries will be disqualified. In all of the green perfume madness of the summer, I did not get a chance to try this one but it sounds tantalizing. I did get a chance to try the Versace green bottle and was pleasantly surprised. I nearly bought it but have already purchased too many bottles this summer! I know, too many bottles....not possible! Thanks for the contests. Perfume would be wonderful! This perfume smells delicious, I would love to own it.